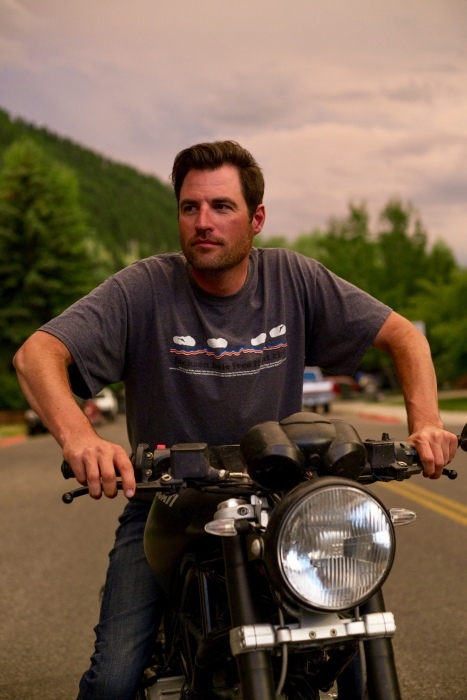 Mark Andries Mol, 38, passed away in Jackson, WY on October 9th, 2018. Mark was born in Easton, PA on August 5th, 1980 to Alice and Adrianus Mol. He attended Pocono Mountain Senior High in Swiftwater, PA and Berklee College of Music in Boston, MA. He worked winter seasons as a winch cat operator at Jackson Hole Mountain Resort, this summer as a project manager at The Tree and Landscaping Company, and several years for Westwood Curtis Construction. Mark was a member of the JH Free Flight Club and loved paragliding. He also enjoyed riding his motorcycle, exploring his artistic talents, and being the town dog sitter. Mark’s genuine love and kindness was cherished by everyone he met and he will be missed dearly. A portion of his ashes will be scattered from the skies over the Teton Valley to gently fall on the snow covered mountains and then melt into the flow of the river. The remainder of his ashes will be buried at Terrace Gardens Cemetery in Billings, MT along side his father. Mark is survived by his mother Alice Mol, his sisters Susan and Julie Mol, and his extended family including Harm and Martha Mol, Pauline and William Sr. Borges, William Jr. Borges, Paula Longmuir, Theresa Drost, and Andy Drost. Mark’s stunning installation, “Teton Lights”, hangs at Hole Bowl as his gift to the community, reminding you all of his everlasting love and light. A fundraiser has been set up to cover Mark’s final expenses at https://www.gofundme.com/mark-mol-memorial.